SALT LAKE CITY—DigiTech by HARMAN has released a firmware update for its original TRIO Band Creator pedal. The TRIO listens to the way users play and automatically generates bass and drum parts that match a song. Users simply plug a guitar into TRIO, select the preferred genre, press the footswitch to teach TRIO the chords and rhythm, then press the footswitch again to start playing with a customized personal band. The TRIO can learn up to three different song parts which can then be recalled on-the-fly as the song plays back. An optional DigiTech FS3X Footswitch can be connected to the TRIO for easier, hands-free selection of song parts and styles. The firmware update includes Enhanced Selectable Footswitch modes, a Pre-Select Style and a Tempo Hint feature using ALT-TIME, a button used to quickly try out an alternative interpretation of the song – usually half or double time. In addition, the bass now plays simplified, supportive lines lower on the neck for most non-acoustic bass styles. 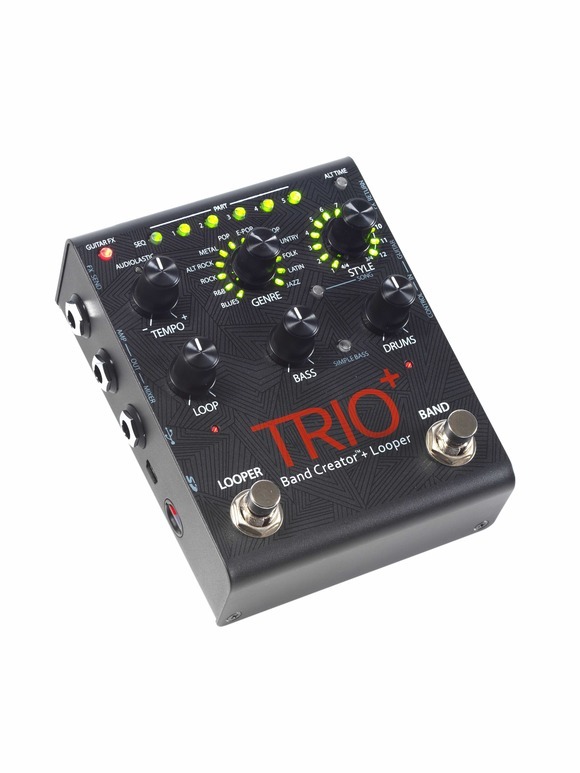 DigiTech has also released TRIO+ Manager that allows for management of the SD card memory for TRIO+. Songs can now be easily named, renamed and downloaded from the TRIO+ SD card to the computer and from the computer to the SD card. This makes it much easier for TRIO+ power users who use multiple cards for longer sets or writing sessions.